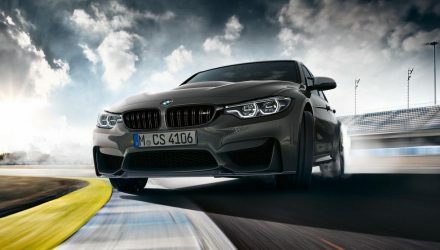 It looks like the new BMW M5 isn’t quite quick enough to reset the production four-door sedan lap record at the Nurburgring, with renowned testers at Sport Auto recently laying down a time of 7:38.92. Although this lap time isn’t an official BMW effort, it will probably remain as the quickest that has been properly recorded. It misses out on the production sedan lap record by about six seconds, which means, for now, the record will probably stay in the hands of the Alfa Romeo Giulia QV with its time of 7:32. 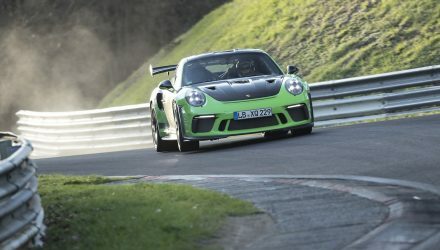 At 7:38.92, it’s as quick as the less powerful BMW M3 CS. Obviously the M5 is heavier, weighing in at 1811kg (tare), but it does have a 441kW twin-turbo V8 at its disposal. It also uses all-wheel drive, unlike the Alfa. It’s unclear if Sport Auto had the M5 in RWD mode, or AWD or AWD Sport mode during this test. However, what is interesting is the possibility of the new M5 Competition resetting the record books. BMW revealed the first ever M5 Competition earlier today. It features a 460kW engine tune as well as some lighter weight components, tweaked and lowered suspension, and uprated tyres, all of which could potentially slash the six seconds needed to claim a record. In any case, the new M5 looks seriously quick in the lap video below. And we must give credit to the Alfa for setting an even quicker pace, even if the M5 is larger and perhaps more luxury-focused. Check it out below.